1,600 VFX shots. 13 individual studios. 3 separate continents. In the wake of Captain America’s global success, we spoke to Marvel Executive Vice President Victoria Alonso about what it means to weld so many facilities into an international fighting force – and just what makes a great Marvel movie. Captain America: The First Avenger has been on release for less than eight weeks, but it’s already made more than double its $140 million budget back. Not bad for a big-screen adaptation of one of Marvel’s most human of superhuman characters – and even better for a movie whose 1,600 VFX shots were shared between 13 studios spread across three continents. 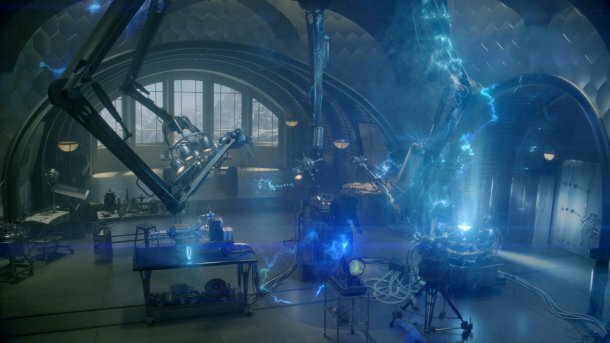 For this tale of a 96-pound weakling turned scientifically enhanced Nazi-busting super-soldier, Marvel enlisted an A-list VFX line-up. Santa Monica’s Lola Visual Effects handled the ‘Skinny Steve‘ shots, downsizing actor Chris Evans into the pre-transformation Steve Rogers. 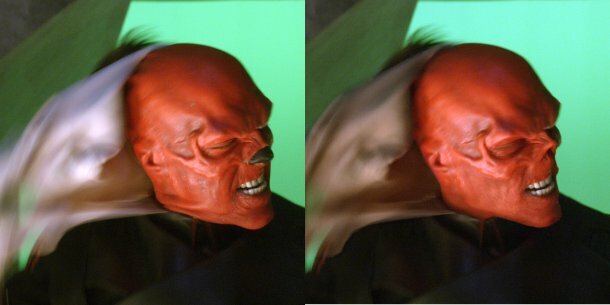 London’s Framestore and Double Negative also took on large chunks of the work, handling sinister villain Red Skull and key digital environments, respectively. But that’s only part of the story. Los Angeles-based specialist The Third Floor handled pre-viz and post-viz. The UK’s The Senate Visual Effects handled 170 shots, including a key chase sequence. Australia’s Fuel VFX delivered 120 CG environment shots. Method Studios’ new US office did 28 shots: mainly plane interiors and mattes. California’s Evil Eye Pictures, Look Effects, Matte World Digital and Whiskytree all handled key work, as did Germany’s Trixter and Rise – the latter both working with Marvel for the first time. And rok!it did the titles. So how on earth do you get so many facilities, each with its own individual pipelines and working methods, to play nicely together? On what basis do you parcel out the shots? And just what makes a successful Marvel movie, anyway? 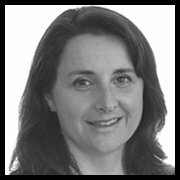 All questions we put to Victoria Alonso, the company’s Executive Vice President of Visual Effects and co-producer of Captain America, Thor and Iron Man 2, when we caught up with her last month. 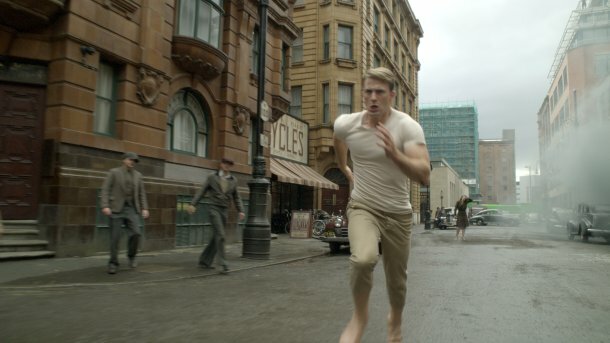 Steve Rogers chases villain Heinz Kruger in a notable sequence from Captain America: The First Avenger. Read more about how The Senate Visual Effects created the sequence here. CG Channel: So what does Marvel’s head of VFX do, as opposed to the VFX supervisor or the VFX producer? Victoria Alonso: I’m kind of a one-woman show: I run effects for Marvel, but also post-production and stereo. My role is to make sure that those three areas, the parties are all together. I hate to say it, but it’s almost like being the line producer of the effects and post. We have teams that go out [to work on a single movie] but I do multiple pictures, so I’m always prepping one, shooting one and posting one. There are three of us in the studio that do multiple pictures: Kevin Feige, who’s our creative producer and president; Louis D’Esposito, who is co-president and has creative functions as well as production functions; and I get to do previz and postviz early on in the process, VFX, then post – and now the added layer of 2,400 shots in stereo. With the same schedule. CGC: So the decision about which shots go to which facility is down to you? VA: Well, listen, I don’t run a dictatorship. The team itself sits down with the VFX supervisors, the VFX producers and looks at the work we need to do – and who are the people who can do it the best. I don’t take the decision own my own: it’s a shared conversation. I could make a call if I had to, but that’s not how I like to work. CGC: So when you, collectively, take that decision, what does it come down to? The studio’s track record? The pitch it puts in? Or to personal relationships? VA: It’s never one thing. It’s always a combination. We do sit down and look at the players and look at who has done right by everyone involved – by me at Marvel, by the supervisors or the VFX producers. We often say, I’ve worked with these people, I trust them; they don’t have the shot in their reel but they can do it. And we always try to go to the right creative company. [Only after that do we] ask: is that the right cost? Because to protect the imagery, you have to get the right people to do it. For a penny, a lot of people can do it. For a dollar, there are fewer people. And usually a dollar is five dollars less than what the work actually costs. CGC: Does that sometimes involve compromises? Big studios don’t come cheap. VA: There are times when big companies have a pocket of time when there’s nothing scheduled, and instead of laying people off, they’d rather take a loss on doing the kind of work we do. That’s happened a couple of times. Then people go, how can you afford [studio X or Y]? And it’s like: well, we didn’t pay their full rates. But it sort of makes sense for everyone involved. A job like ours appeals to a lot of geeks – and I say that word with love – who love our characters, and thank god they do. So the artists get to work on something they love, [the studio gets not to lay anyone off], and if we’re very lucky, we get to fit in a timeslot where they’re waiting for the next Transformers. Another of Lola Visual Effects’ before-and-after breakdowns. But Captain America wasn’t just about big studios: a total of 13 separate visual effects facilities worked on the movie. CGC: 13 VFX studios worked on Captain America. That isn’t unprecedented, but it is a lot. Why so many? VA: In a perfect world, I wouldn’t use 13 companies. That’s a lot of management. But I also don’t like to use one company. I’m all about the balance. If I could, I would have used five or six companies. The problem is that when you have the later summer release slots, that means that everyone is busy with all of the summer blockbusters. So when your movie grows – and this movie did, I haven’t worked on one that hasn’t – you have to reach out to the people already working on the picture. And if they say: we can no longer take on more work or we’ll risk delivery on the work we already have, we have to respect that. There are other people who’ll say, no, you have to do the extra work… that to me is a slippery road. When people say they can’t take more than this many shots, I listen. And then you go and find other companies, smaller companies perhaps, ones that don’t have as much work coming their way. When you have to farm out 20-30 shots, that’s not the same as farming out 200-300, so you can have a slew of smaller companies doing the extra work, even though in a perfect world, you’d have kept it with the companies you originally hired. CGC: So the decision to use that many studios wasn’t something you planned from the start? VA: I’ve never gone into a movie planning to use 10-12 companies. Because it’s so much work. Don’t forget, there are 1,600 VFX shots in the finished movie, but we probably worked on 2,500 shots in total, so if we had just four versions of each, that’s 10,000 versions. So when the work continues to grow – and it always does, because the theory of how a scene is going to be shot is one thing, but the reality is quite another – you always have to thread the pieces together with more work. It’s that ‘glue’ that you don’t necessarily know about going in: you have to shoot it to know it. CGC: What kind of logistical problems does using so many studios pose? VA: It’s like the Octomom. You know how to have babies, but when you have a lot of them, it’s a lot of work. There’s always one that is crying, one that needs changing, one that has tummy ache, one that can’t sleep. Parenting is hard, but having multiples is harder. We have to beef up our own production team to ensure they can communicate the director’s notes the whole time, and the VFX supervisor’s notes, and the creative producers’ notes. It’s about consistent communication back and forth, and that just takes more folks. Usually, if you have 1,600 shots, you can get 200, 250 shots per co-ordinator, but that’s a lot easier if there are only four or five companies. Just because a company has fewer shots, it doesn’t mean it requires less attention: usually it requires equal or more, because those companies come in at the end, because everyone’s tired, because they don’t have as much time with us because everything’s truncated and we’re trying to finish. VA: It is difficult. But it’s taxing on the entire team, not just myself. We have some of the best people in the business and I’m proud to say the team always rises to the occasion. But it’s a lot of hours. These are jobs that require the tenacity of a triathlon athlete, not a marathoner. Just when you think you’re done with the swimming, you’ve got to get out of the ocean and on the bike. Just when you get your 1,600 visual effects shots done, you get your 2,400 stereo shots. So now there’s 4,000 shots altogether. And just when you think you’re done with the 2D DI, when you can just jump up and down like I would have done two years ago, because it’s all over… now it’s all back to zero with the stereo DI. CGC: You’ve said that Captain America is one of Marvel’s best origin stories. What makes it so special? VA: It’s hard for me to pick just one. I mean, it’s our last, but… it’s almost like picking which is your favourite kid. Iron Man was a brilliant origin story, and I was pretty much enthralled with Thor, but Captain America has a very dear place in my heart, because of what it does for the younger kids in high school. The more different you are, the more you suffer from alienation or bullying. That’s a very present issue. Because [Steve Rogers] is little, he gets beaten up a lot, but he stands up for himself; he wants to go to war, he wants to do what other men are doing. And that has resonated not just with Marvel fans, but as an everyman story. And an everywoman story. We all want to belong. CGC: Is it a challenge that Steve doesn’t end up more obviously ‘super’? He’s a hero, but he’s not Hulk. 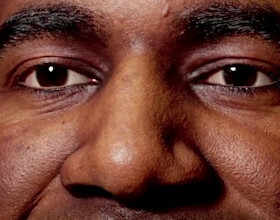 VA: The essence of what Steve is not in the body: it’s in the soul. So what we did was try to respect the performance that Chris Evans was giving with the character. We didn’t use oversize objects on set: we just used real things all the time, which meant that we could get it all in camera as much as possible. On the first or second effects shot, you might go wow, how did they do that? But then you stop thinking about it, because you’re there. You root for him, and you want him not to get hurt. CGC: How do you make sure that your movies stay true to the Marvel spirit? If it’s actually possible to define ‘the Marvel spirit’, that is? VA: Well, I was going to say: I’m not sure what that means. But I tell you the one thing I strive for: the most photorealistic-looking imagery there is when photorealism fits – and when photorealism takes a bit of a curve, like it did on Thor, the most photoreal we can make things and still be the land of the Gods. It’s really more about the quality of the effects, and integrating them in a way that doesn’t pop you out of the story. We don’t want to do effects just to do the gag: we don’t do those kind of movies. We’ve been criticised for not having enough action. But we don’t want to have action for action’s sake, because then you get criticised for having sequences that don’t make sense, or that are cool, but not part of the story. CGX: So the secret of a great Marvel movie isn’t pure visual spectacle? VA: I think the spectacle is part of showing the powers that these superheroes have, but it has to be part of the story. Why do they have these powers? Are they just fighting for no reason? Because if that’s the case, I turn off. 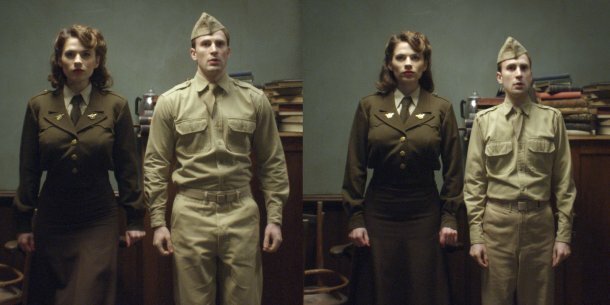 Captain America: The First Avenger is released on Blu-ray next month. Victoria Alonso is currently in post-production on The Avengers. Updated 18 September: in the first version of the article, we forgot to namecheck Evil Eye Pictures, who also worked on the effects. Sorry, Evil Eye. Are visual effects today just too darn boring?